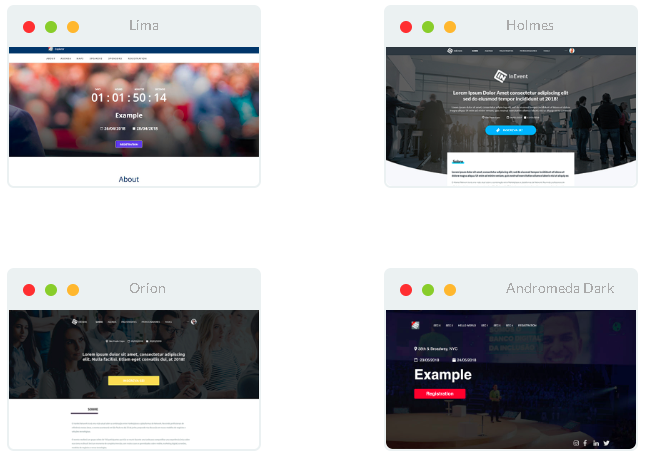 Create a customized website for your event in a few minutes, adjusting its layout with event identity design and links such as a registration form and it can be linked to one external website. 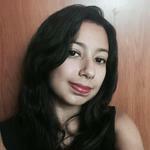 The website can have its own domain, automatically updating information as it changes in the platform. 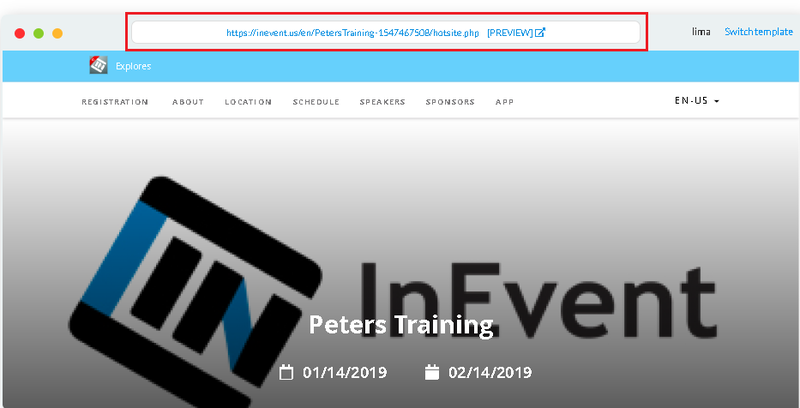 It also can be integrated with your current website through dynamic plugins, such as event map, calendar, speakers, sponsors, etc. With just a few click, you can have your event website ready to start your promotion. 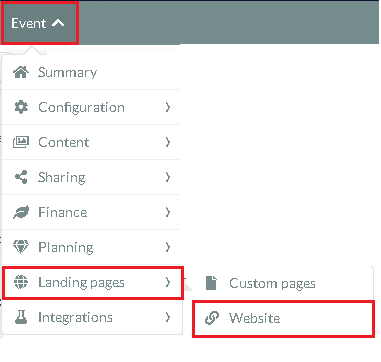 To set up your website, click on 'EVENT' > 'LANDING PAGES' > 'WEBSITE'. To add a section to the website use the 'WEBSITE CONFIGURATION' on the left side of the platform. 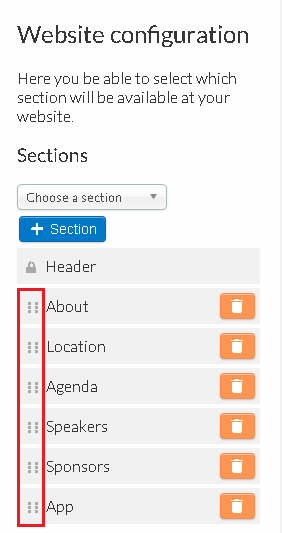 Under the 'SECTIONS' title, use the drop down box to choose a section, then press the blue ' + SECTION' button to add. Press the 'END' button in the top right corner to finish editing. 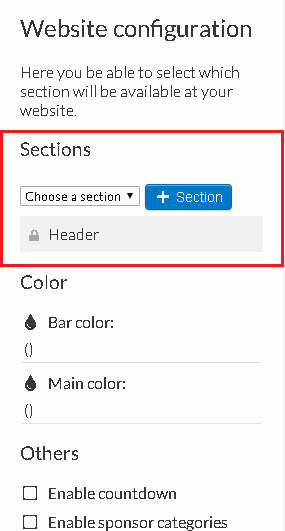 Once you have chosen the sections, they will show in the 'Website Configuration' tab. 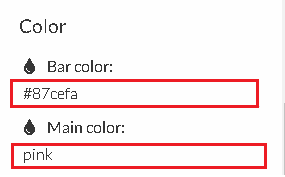 Also, in the Website configuration you can choose the color of your page, you will need to enter the hex code of the color you would like to have. You can type in the name of primary colors or if you would like different shades of colors, you will need the hex code. You can ask google what hex code represents each color, for example (WHITE is #FFF). 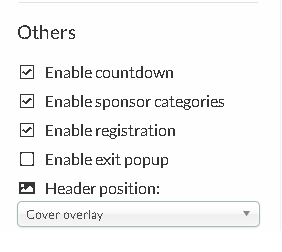 By ticking the checkbox items You can enable a countdown to the event, enable sponsor categories, enable the 'REGISTRATION' link button to be available on the website. Also an exit popup and event title (Choose the header position - cover overlay, after cover or invisible). When all the necessary information is in place and sections are chosen, we can choose the template of the website. To do this, click on 'SWITCH TEMPLATE' and select your desired layout. To view your website click on the 'Preview Link' at the top of the page.